Where do I start with this season? 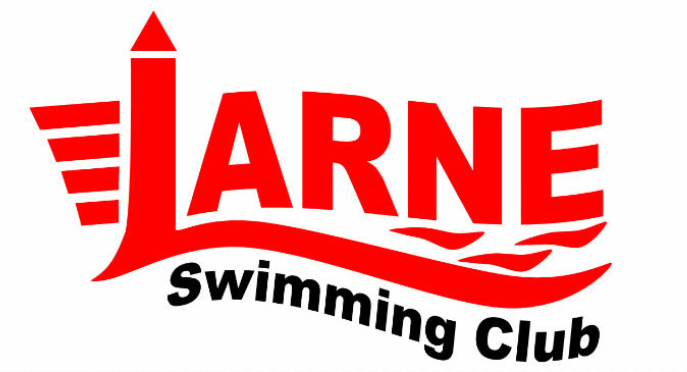 Without any doubt the best season for Larne Swimming Club in a very long time. Our junior club competed in Aquasprint and while we did get relegated to division 2 we saw some real developments over the season in terms of skill level and team spirit. The future is very bright for these young athletes. The PTL team also acquitted themselves admirably in a year when we decided that as many swimmers as possible should swim in this league. In open competition we competed in the Ulster Age Groups and Qualifying Galas, had 38 qualifiers for Division 1 of the Irish Age Groups and while only 3 qualified for Division 2 they came home with some medals from Limerick. There is more work to be done with our development squad to get them to a level where they can experience this 1st tier of Irish swimming. The open championships again saw our club shine as we broke somewhere in the region of 75 records over the course of the season. At one point we held 8 Irish senior records and currently hold 10 Ulster Senior records. Not to mention all the Junior records our members broke including a medley relay record in April. We broke the 2 oldest short course records on the books, one of which wasn’t even broken during the era of the rubber suits! We where the only club team to have two swimmers on the Irish team to the senior Europeans, the only team EVER to have 2 finalists at the same European Junior Championships, and we became the 1st club ever to have a male winner of a medal at European Juniors. We are in a position where we now have 3 Irish senior International qualifiers in our program – something that very few other teams can say. Yes it’s true that in Conor Brines, Conor Ferguson and Danielle Hill we have 3 of the best swimmers in Ireland in our squads but they don’t do it on their own, they train in our pools, in our sessions, with our members. Without the support of YOU our members and their teammates none of this would have been possible. Without the dedication of the largely volunteer coaching staff we wouldn’t be able to function at all never mind achieve anywhere near the level of success above. A partnership with swimming specific kit provider Swimzi saw us launch a new corporate appearance with a radical new red and white (and green) kit……not to mention a mentoring relationship with Liam Tancock. Behind the scenes the committee also raised the bar for not only themselves but all future committees with an increased level of professionalism and again without these volunteers none of this swimming stuff would happen. Finally we have finished the season with an opportunity to work with an Irish company producing training aids for backstroke starts wedge.ie making next season even more exciting. Congratulations to everyone enjoy your break ……. the hard work starts again all too soon.